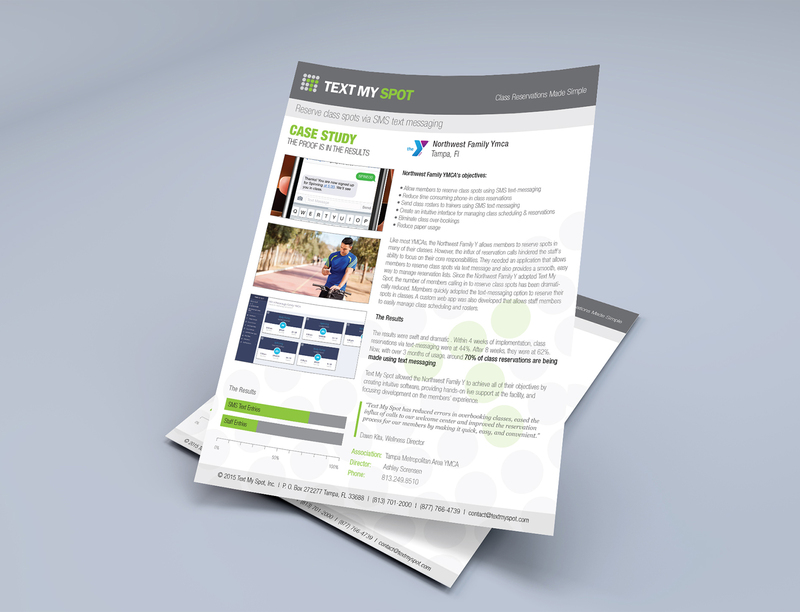 Text My Spot provides a SaaS solution to fitness class reservations. 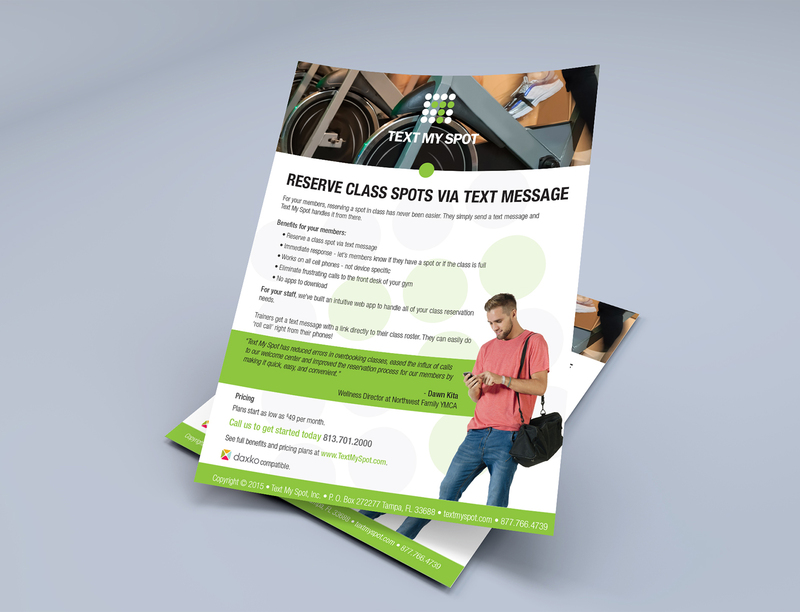 Class reservation made simple, reserve your class spots via SMS/Text messaging. This project was an interesting one. Following a discovery meeting, the idea for this logo was immediate. This application solves a cumbersome problem by simplifying the process to reserve a spot on your favorite fitness class. There's a certain amount of bikes on a spin class, for example. Texting your class time and day and spot, reserves you a spot eliminating the need to call in or write your name on a reservation list at the front gym's front counter. The green dots on the symbol, represents reserved spots and also a "T" for texting.